The team at BUG Termite & Pest Control Co. in Venice, FL is highly trained. 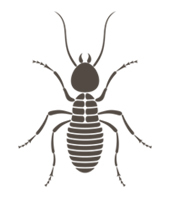 About BUG Termite & Pest Control Co.
With 50 years of experience in the pest control industry, you can rest assured that we have a proven track record of satisfactory pest removal. The team at BUG Termite & Pest Control Co. in Venice, FL is highly trained, and is comprised of two generations of pest control experts. We are always up to date on the newest pest control technologies and current events. Rest assured that our staff is detail-oriented and knowledgeable of all aspects of pest control, and provides the personal attention you deserve on every job we take on. Since 1965, the protections of the public’s health and property have been at the forefront of our concerns. Are you unsatisfied with your pest control company’s initial consultation? We are always happy to give a free second opinion. We are licensed and insured to provide safe service and superior protection.